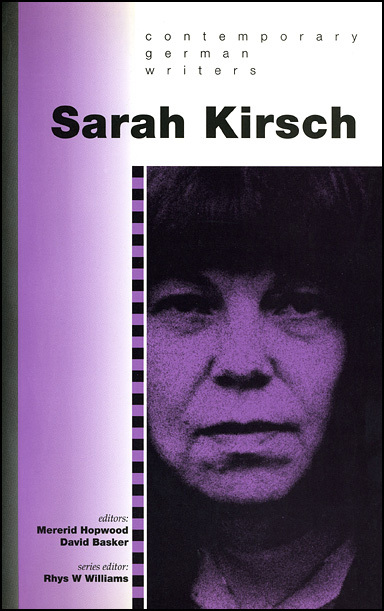 Sarah Kirsch is without doubt one of Germany’s most acclaimed contemporary poets, a fact which was endorsed in October of 1996 when she was awarded the prestigious Büchner prize for literature. Over three decades of writing she has developed a unique lyrical style which depends heavily on imagery from the natural world to express themes ranging from the political to the personal. Her poetry has won many admirers throughout the German-speaking world and beyond. This book is intended both as an introduction for the general reader and as a resource for the specialist. It contains new poems written by Sarah Kirsch during her stay as writer in residence at the Centre for Contemporary German Literature in Swansea, together with a short interview and a full bibliography. The five contributions by Welsh and English academics cover aspects of her work from the early DDR anthologies of poems right up to the short prose collections of the present day. To complement these essays the book also includes two personal accounts of their reactions to Kirsch’s work, one by the poet Günter Kunert and one by the literary critic Heinz Ludwig Arnold.